Open: Daily 8 a.m. to dusk. The office is open Monday-Friday from 9 a.m. to 4:30 p.m. Admission is free. Isabella Baumfree had been born to enslaved parents around the year 1797 and grew up speaking only Dutch on a plantation north of New York City. She was first sold at auction at the age of 9, to a man who beat her for not understanding English. Tired of waiting for the emancipation promised by the state of New York, she walked away from her master toward the end of 1826. She carried her infant daughter Sophia, but left three other children behind. Her son Peter was sold illegally to an owner in Alabama to avoid his emancipation. Baumfree successfully sued for his freedom, becoming the first black woman to best a white man in an American court. Meanwhile, in the wilderness in the middle of the continent, Battle Creek, Michigan was named for a fight between white land surveyors and natives in the early 1830s. When the village of Battle Creek was first platted in 1836, an acre of land was set aside for a pioneer burial ground. The town grew until a new cemetery was needed and so land for Oak Hill Cemetery was purchased in 1843. Its first permanent resident was Esther Cox, buried May 21, 1844. About this time, former slave Isabella Baumfree had a religious vision and took the name Sojourner Truth. She dictated her memoirs, which were published in 1850. She began to travel extensively, speaking for women’s rights and the abolition of slavery. 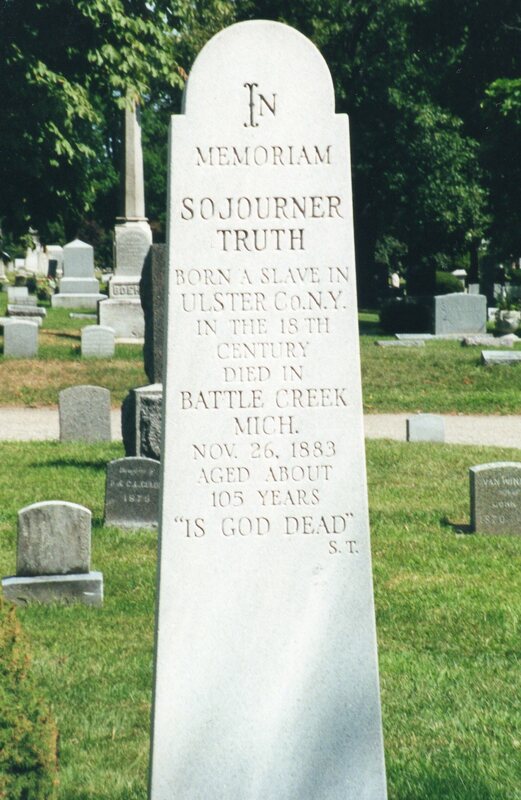 Sojourner Truth settled in the Battle Creek area in 1857, where she lived with her daughter Elizabeth and two grandsons. Grandson James enlisted in the 54th Regiment, Massachusetts (the Glory regiment). In 1864, Sojourner traveled to Washington, DC with her grandson Sammy. She met Abraham Lincoln in the White House, then later took work at the Freeman’s Hospital. She rode the DC streetcars in order to force their desegregation. By 1870, she was traveling around the US, speaking on temperance and civil rights. She suggested that Freemen be given government land in the West, rather than be forced to continue to live in the Jim Crow South. In 1872, she attempted to vote for Grant, but was turned away from the polling place in Battle Creek. By July 1883, Sojourner was ill with ulcers on her legs. Dr. John Harvey Kellogg attempted to treat her at his Battle Creek Sanitarium by grafting some of his skin onto her legs. The treatment bought her a few more months, but she died in November that year. She was buried at Oak Hill Cemetery beside her grandson Sammy. Later, her daughter Elizabeth and several other family members joined her. Oak Hill Cemetery also served as the final resting place for Dr. Kellogg, who invented cold breakfast cereal so that visitors to his sanitarium would have an alternative to meat and eggs for breakfast. Buried nearby is his brother W. K. Kellogg, who founded the cereal manufacturing company which bears their name in 1906. The Kellogg company continues to be the largest employer in town. Also buried in Oak Hill Cemetery is another pioneer in the packaged breakfast food industry: C.W. Post, who created Grape Nuts and Post Toasties. After an emergency appendectomy, he shot himself over fears that he had developed stomach cancer. Other historical figures in the cemetery include James and Ellen White, co-founders of the Seventh Day Adventists. Ellen is remembered as the “central prophet” of the faith, writing and speaking against use of tobacco and alcohol, proposing vegetarianism, and rejecting fashions in clothing. She was the author of over 40 books and is credited with sending John H. Kellogg to medical school. 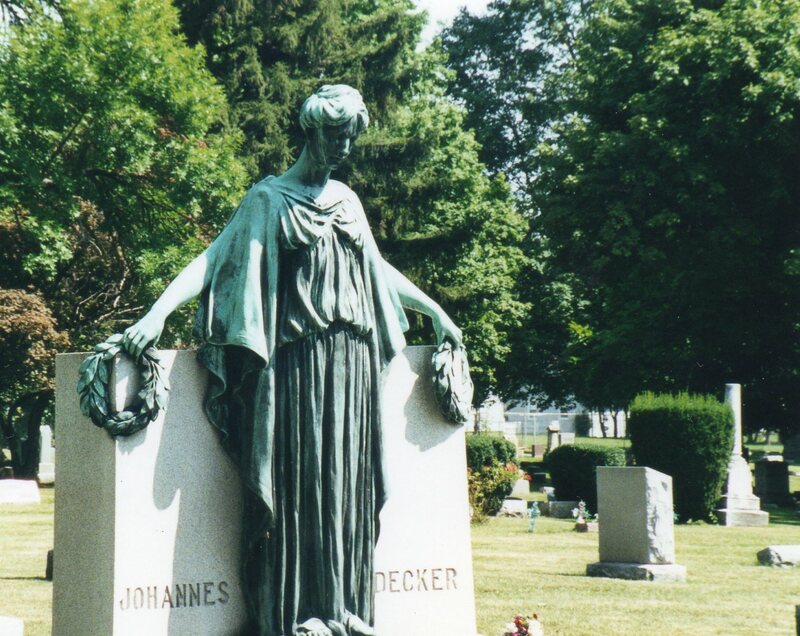 Finally, Oak Hill Cemetery seems best known for its statue of Crying Mary, which has been investigated by many, many ghost hunters. Generations of Battle Creek teenagers believed that the statue cried at midnight. 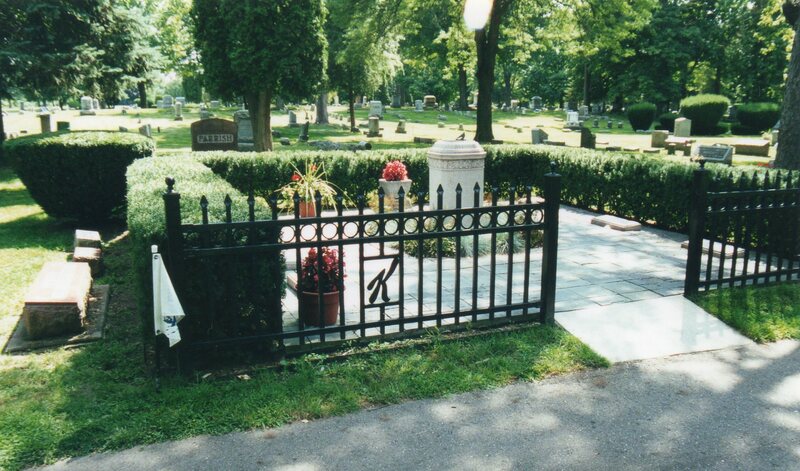 This entry was posted in Cemetery of the Week, Famous person's grave and tagged Black History, Black History Month, Michigan cemetery, Oak Hill Cemetery, Sojourner Truth's grave. Bookmark the permalink.